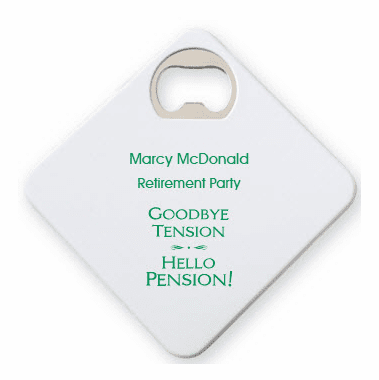 Having practical retirement party favors, like these personalized coasters bottle openers, will serve as a great memory of the years of camaraderie at work. Customize the coaster with our designer program, so you can see the finished creation. 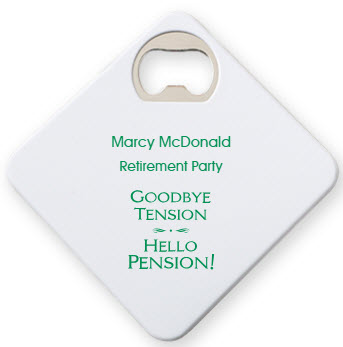 Made of a hard and sturdy plastic, each coaster measures 3 1/4" x 3 1/4", has a metal bottle opener embedded in the corner, and has a black felt bottom.